Youtube is now manually reviewing conservative content and blocking it from being shared before it is even made public. 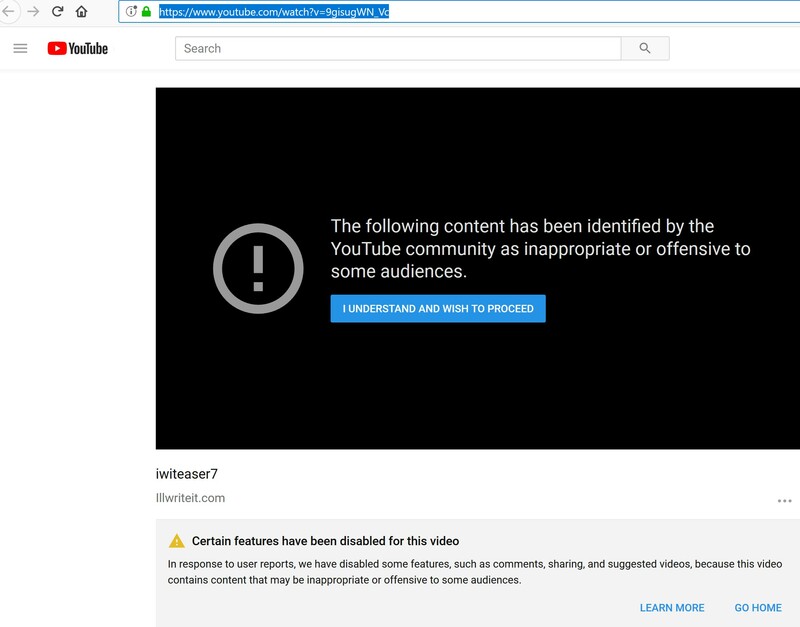 Youtube has officially been caught lying about reporting in order to censor conservative opinion in the clearest case of illegal discrimination to date. Recently a 40-year-old cancer survivor decided to tell his lifes story about the activism his team has done for veterans and police. After uploading a private trailer video to show his friends and family, the man was hit with a “inappropriate content” penalty, youtube claimed a community member reported it as offensive. The only problem is the video was unlisted meaning nobody had access to the video. This would imply youtube is manually reviewing private conservative videos and blocking them from being shared before the person even releases them to the public. Youtube claims the video was reported by a member of the community and has been deemed offensive, but there’s only one problem…The video was unlisted, meaning nobody could have reported the video as a very small number of people watched it. It was not available to the “community”. A member of youtube’s staff illegally flagged the video due to conservative content and then blocked people from commenting or sharing the video. Youtube link below, and then the embedded video is self hosted as youtube has disabled anyone from including the video on their site. 1 Comment on "Google Caught Lying to Censor Conservatives on Youtube"